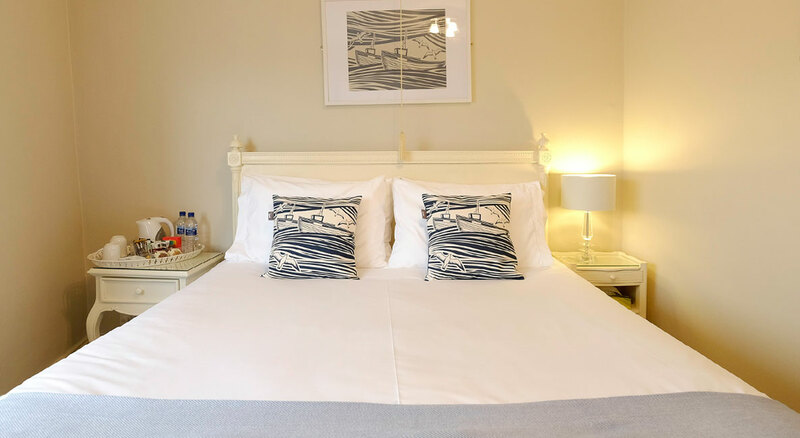 Luxurious first-floor room with beautiful sea views across the harbour entrance and over to the Abbey. 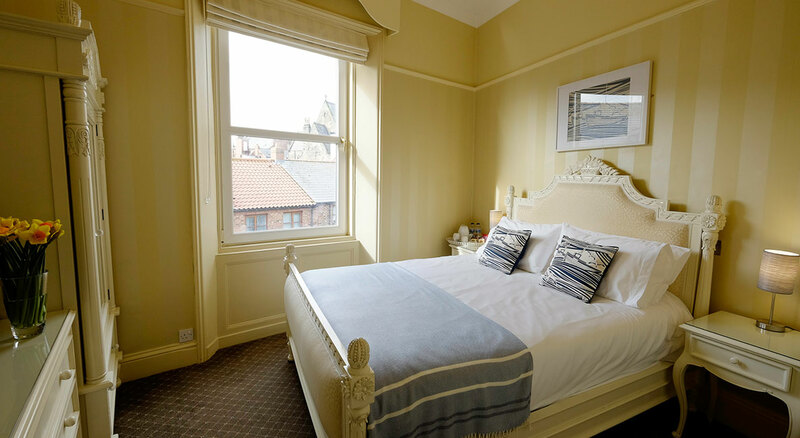 Luxury first-floor room with antique brass bed stead and beautiful sea views across the harbour entrance and over to the Abbey. 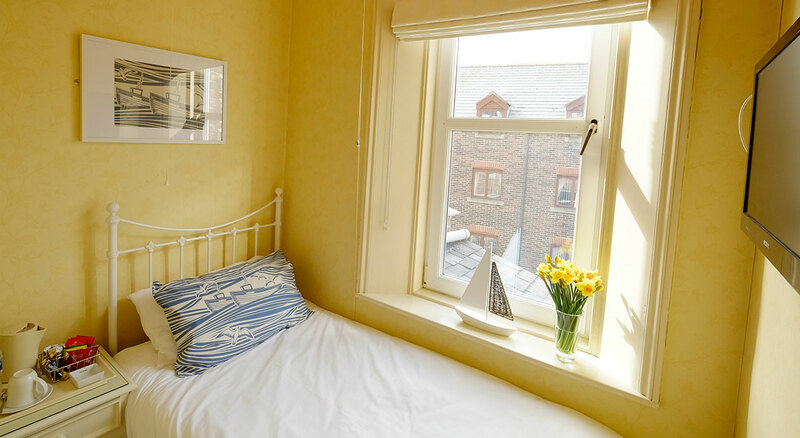 Sunny first-floor room with rear views over the town’s rooftops. 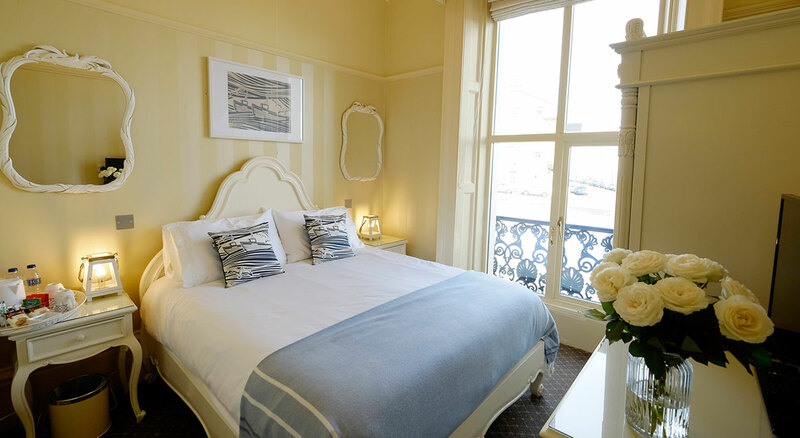 Very comfortable first-floor single en-suite room. 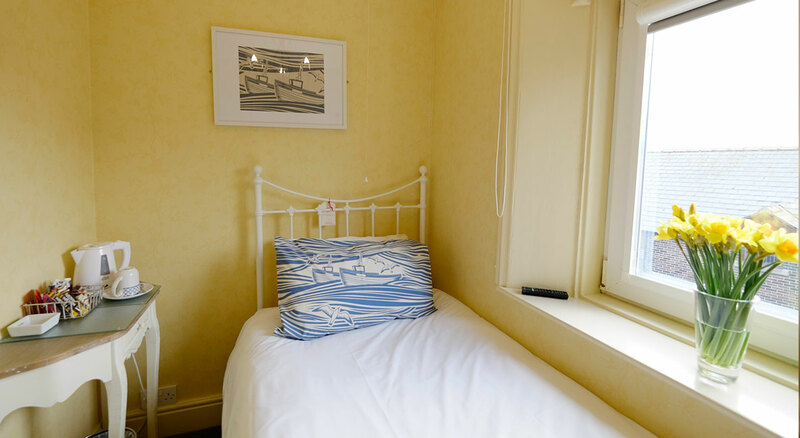 Lovely second-floor room with beautiful sea views through the Victorian arched window. 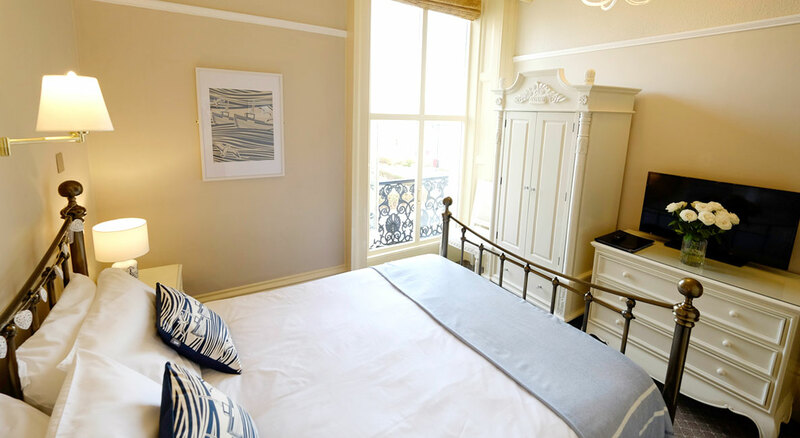 Spacious second-floor room with beautiful sea views through the arched Victorian window and with an additional roof light. 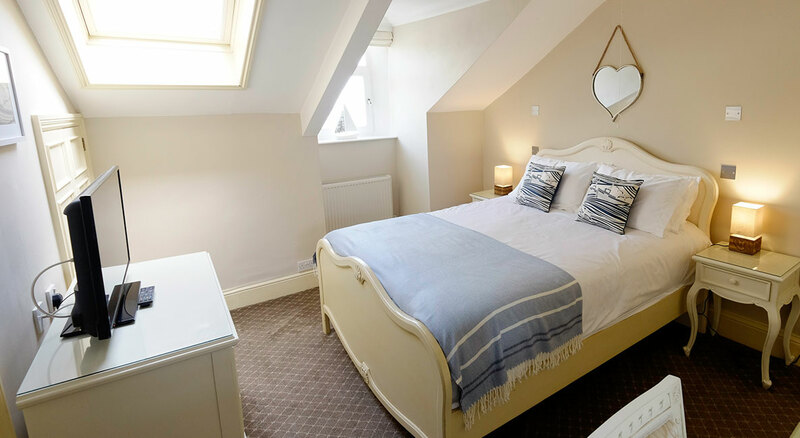 Beautiful sunny second-floor room to the rear. Good side views to the swing bridge and River Esk. 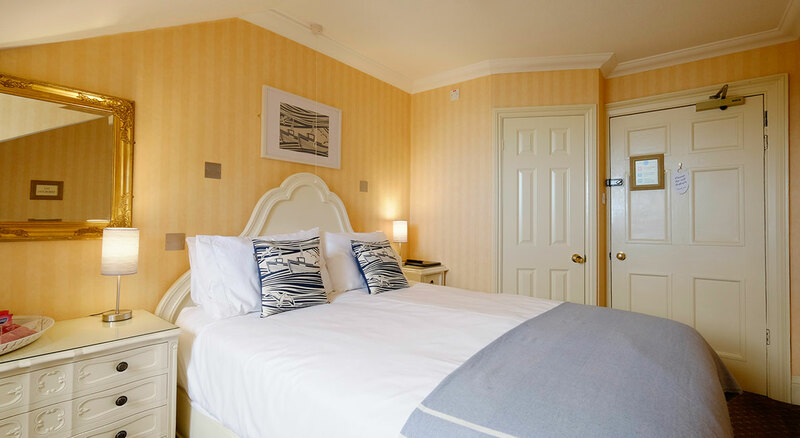 Very comfortable second-floor single en-suite room.